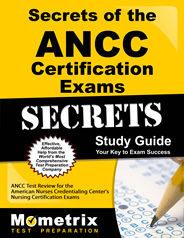 The American Nurses Credentialing Center (ANCC) offers assessments for certification purposes, and the Acute Care Nurse Practitioner Board Certification Exam is one of the assessments offered. This test is for RNs who have completed graduate work in an acute care NP program and have earned a master’s, post-master’s or doctorate degree. The program must be accredited, and the candidate must have completed at least 500 clinical hours in that program, which must meet specific requirements in order for the candidate to take this test. This test is taken as part of the Acute Care Nurse Practitioner – Board Certified (ACNP-BC) credential. If a candidate does not succeed in the first attempt at this assessment, the test can be retaken after a 60-day waiting period. A candidate cannot take the test more than three times within a year of the first try. 2. Which of the following is the correct procedure to evaluate the function of cranial nerve X (vagus)? 3. A 25-year-old patient with multiple fractures from an auto accident develops hypoxia, dyspnea, precordial chest pain, tachycardia, and thick milky sputum. Auscultation of the lungs shows crackles and wheezes. The patient complains of headache and has a fever of 40°C. Which of the following interventions should be done first? 1. B: Although symptoms of pulmonary embolism may vary widely depending on the size and location of the embolus, dyspnea, inspirational chest pain, cough, fever, S4 sound, tachycardia, and non-specific ECG changes in ST and T waves are common. Risk factors include obesity, recent surgery, history of deep vein thrombosis, and inactivity. Treatment includes oxygen, IV fluids, dobutamine for hypotension, analgesia for anxiety, and medications as indicated (digitalis, diuretic, antiarrhythmic). Intubation and mechanical ventilation may be required. Percutaneous filter may be placed in the inferior vena cava to prevent more emboli from reaching lungs. 3. A: These symptoms are consistent with fat embolism syndrome (FES), which may cause rapid acute pulmonary edema and ARDS, so the patient should be immediately provided with high-flow oxygen. Controlled-volume ventilation with positive end-expiratory pressure (PEEP) may be indicated to prevent/treat pulmonary edema. Corticosteroids may reduce inflammation of the lungs and reduce cerebral edema. Vasopressors prevent hypotension and interstitial pulmonary edema. Morphine with a benzodiazepine may be indicated for patients who require artificial ventilation. 4. A: These symptoms are consistent with cardiogenic shock. Cardiogenic shock has 3 characteristics: Increased preload, increased afterload, and decreased contractibility. Together these result in a decreased cardiac output and an increase in systemic vascular resistance (SVR) to compensate and protect vital organs. This results in an increase of afterload in the left ventricle with increased need for oxygen. As the cardiac output continues to decrease, tissue perfusion decreases, coronary artery perfusion decreases, fluid backs up, and the left ventricle fails to adequately pump the blood, resulting in pulmonary edema and right ventricular failure. 5. A: These VS changes are consistent with increasing intracranial pressure. Typical findings include widened pulse pressure, with rising blood pressure and depressed heart rate. Because the patient is drunk, evaluating level of consciousness can be difficult, but lethargy, confusion, and restlessness are characteristic of increasing ICP. Stress response usually results in increased BP and pulse. Ethanol intoxication usually causes hypotension, bradycardia with arrhythmias, and respiratory depression. Delirium tremens includes tremors, tachycardia, and cardiac dysrhythmias. 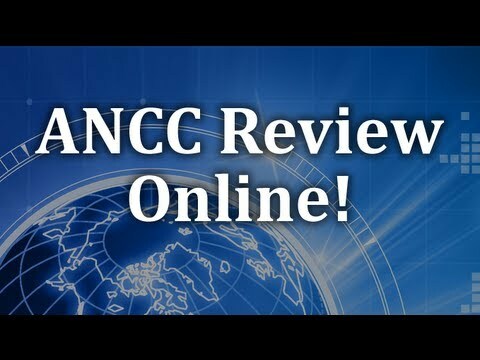 Ace the ANCC test using our ANCC exam study guide with practice questions. 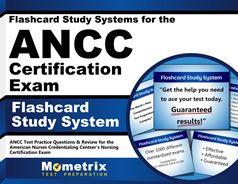 Quickly Solve Difficult ANCC Test Questions with the ANCC Flashcard Study System.